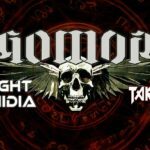 05-06.04.2019 weekend with Bright Ophidia, Taroth, Gomor! 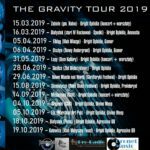 We will play in Swietlic Centrum Kultury Gminy Kolno. We are making Day with Bright Ophidia workouts! We show You everything about our music. We will speak about using gear, about harmony, arrangement in our music coz it`s PROG METAL!!!! 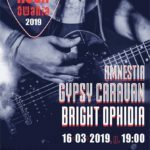 Next Day we will play with Amnestia and Gypsy Caravan in WOAK, Spodki, where Rockowania 2019 festiwal starts! BRIGHT OPHIDIA on PROG IN PARK III! Dreams come true…;) Once we had a chance to play in front of Adrenaline Mob with Mike Portnoy behind the drums (ex-Dream Theater). Now we’re playing in front of the entire Dream Theater this time with Mike Mangini… It’s amazing! The thrill of emotions is even greater because real giants of progressive music will appear on the same stage – absolutely world leaders: DREAM THEATER, legendary FISH, OPETH, RICHI KOTZEN, TESSERACT, ALCEST, HAKEN and SERMON. This is a great honour for us! See you on 12 and 13 July 2019 – WARSAW. 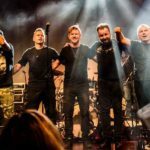 Bright Ophidia – one of three best bands 2018 of Podlaskie voivodeship!